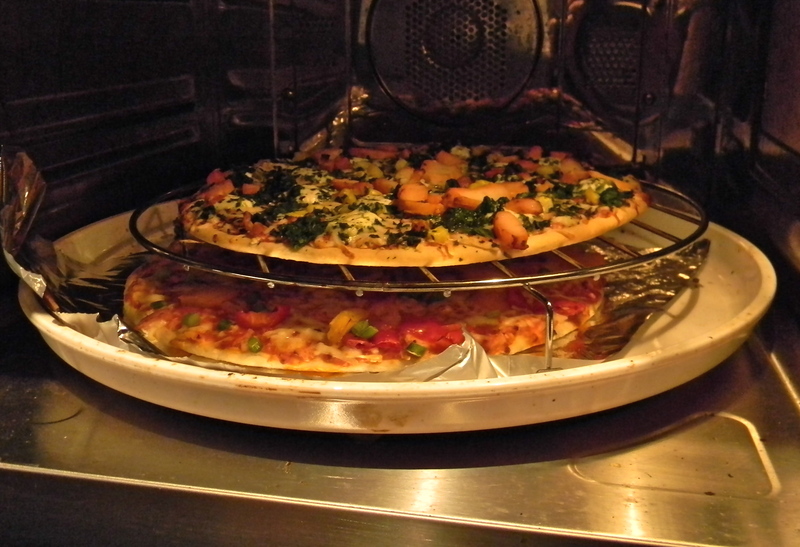 Pretty impressed that my little combo oven can cook these bad boys at the SAME time. Now no one has to wait. Um, yea, it’s only the 2 of us, but we needed 2 pizza’s. We opted for a very spicy (had 3 chili’s on the front of the box) and a goat cheese chicken type. 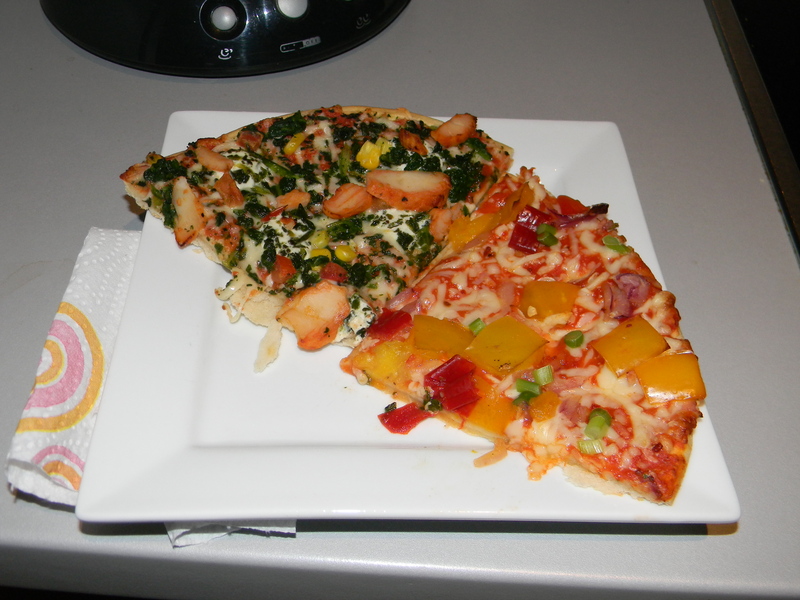 We split each pizza so we could sample both. And, if I might say so myself, not too shabby for a frozen pie! 3 chili's on the spice scale! *This seriously brought me back to my college days. 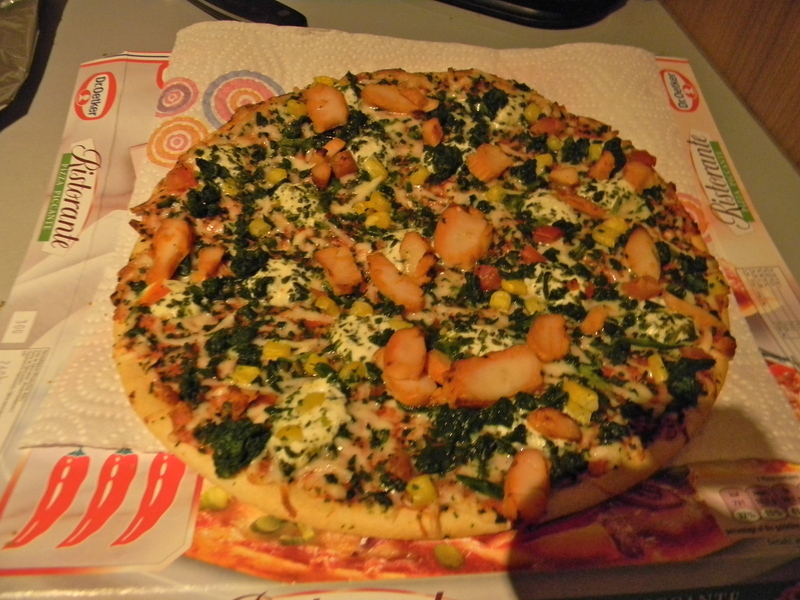 In particular, the countless frozen pizza’s at the Monte Cristo (Joe’s old apt)! 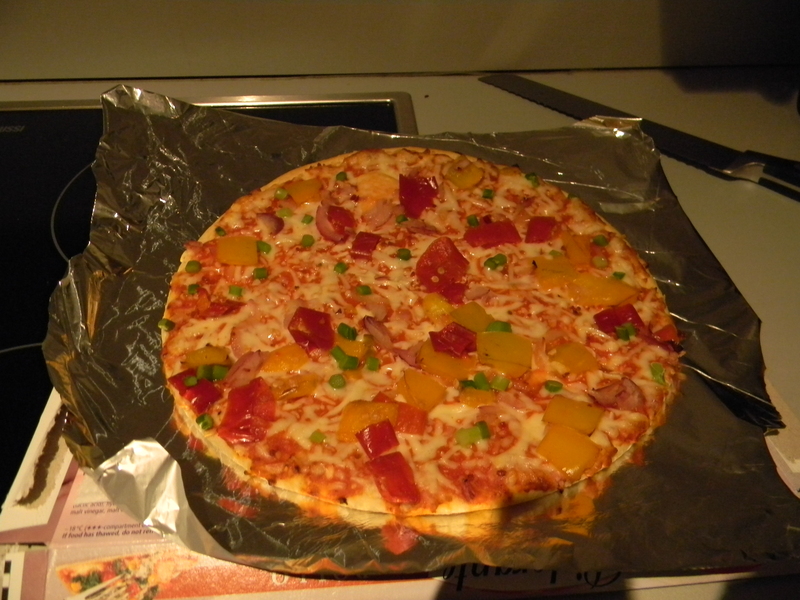 Of course, we had a pizza pizzazz maker (thanks Kelsey) that made the pizza’s a MILLION times better than an oven. Ahhh, those were the days! Today is Armistice Day – i.e. the end of WWI. Many European countries have this day as a holiday in remembrance of the soldiers from both WWI and WWII. Since Joe is home, we’re off to spend the day in Brugge…I happen to know there is a choco-fest in the bell tower!